Top End is a place with a wide variety of incredible world-class events. As sunset falls over Uluru and the iconic rock is thrown into silhouette, the field of light illuminates. Gentle rhythms of colour light up the desert, as far as the eye can see. The exhibition is named Tili Wiru Tjuta Nyakutjaku or, quite aptly, ‘looking at lots of beautiful lights’ in the local language Pitjantjatjara. Comprised of more than 50,000 slender stems, each crowned with radiant frosted-glass spheres. It’s internationally acclaimed artist and phenomenon Bruce Munro’s largest work to date. Pathways wind through the installation, which comes to life under a sky full of stars. Spaces are limited, so we recommend pre-booking! Tickets are just $35 but a holiday to the Red Centre is an incredible experience and this is just one reason of many to launch an adventure. 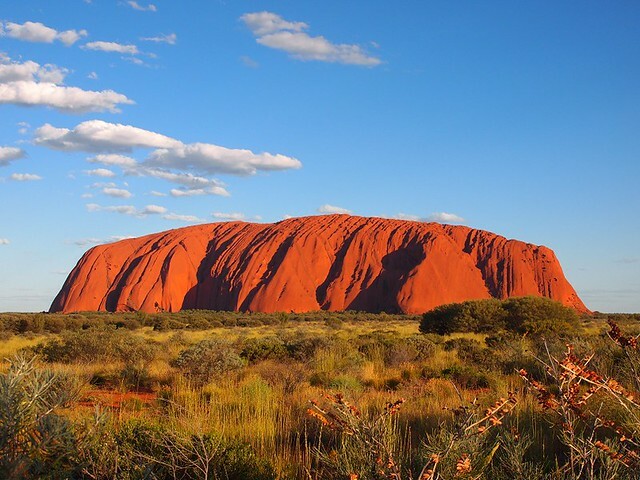 Uluru accommodation and tours offer complete packages, from cultural experiences to outback adventures and unique culinary experiences. Stay at acclaimed resorts or lodges or camp out under the clear night sky, clearer and more brilliant than you may have ever seen or realised. For more information and to organise a booking, visit the Ayers Rock Resort website.